Everyone can benefit from the encouragement of a promoter and believer in their abilities. I’m grateful for the activists in my life and therefore try to reciprocate by being supportive of others, especially Mark. Being his advocate is a responsibility I take seriously. I’ve witnessed the difference it makes not only in ours life, but in other’s lives as well. It boosts one’s drive to improve and changes their therapy and even the care they receive. Likewise, therapists and professional caregivers buoy up when they know there is a supporter on board. Being an advocate can feel heavy at times and weighs me down, but I see the blessing of improvement which comes from it. Surgery or illness always brings more caregiving involvement due to the strength loss it brings and for Mark, another issue is his speech. Many people don’t take the time to understand him or they feel awkward when there is miscommunication. Some people are embarrassed to say they couldn’t grasp what he was saying. Mark realizes his speech is impaired and he is not upset by having to repeat himself. He’d rather do that than to be ignored or have someone not comprehend what he’s saying. With uncomfortable and pleading eyes others often look to me to interpret what he just said. Therefore, I feel the need to always be by his side to love, protect and encourage others to understand him. I see the blessing the blessing that comes from communication and when others get to know Mark’s fun personality. I get lots of advice about what I should or should not do and I have to remind myself it’s generally coming because that person cares about our well-being. Some people think the level of dependency is unhealthy and wrong, while others praise the assistance. Ultimately, I’m just doing what I feel is best, which isn’t necessarily what I prefer to do. As most caregivers know, it isn’t about me. One of the blessings in all this is as I help Mark, my love for him grows and when I come to his aid with the right attitude, it becomes an honor to do so. Not all people can be caregivers, but I’m fortunate to have the health, strength and support which enables me to do so. This year has brought some unusual difficulties in my caregiving journey. Starting with my large hernia, which was an easy fix with the obstacle being the six-week recovery time and finding someone dependable to care for Mark. Originally, I was in hopes to have my surgery right after Mark had his hip surgery. I thought it made perfect sense for me to recuperate while Mark was in the rehab center. Due to complications, Mark’s hip surgery was postponed and my recovery plan was ruined. Thank heaven for family and friends, especially a daughter who was willing and capable of moving in for the recovery time. It turned out to be a great blessing for all of us, bringing us closer together as we worked through those weeks. After my recovery, Mark was approved and scheduled to have his surgery. Less than a week before the long-awaited date we were informed he would have to go a larger facility with an ICU due to the risk of complications. It became more frustrating when we were told the surgery date was now uncertain because they weren’t sure when they could fit the four-hour surgery on the bigger hospital’s schedule. Another hurdle was the surgeon wouldn’t start the surgery late in the afternoon. We anxiously waited until the day before surgery to get word whether Mark could be fit in or not. Fortunately the surgery was able to take place on the original scheduled date and having it done at the larger hospital proved to be a blessing. Mark needed one radiation treatment to hinder the excessive bone growth from recurring. This hospital has an oncology center so Mark didn’t have to go far the day after his surgery for the treatment. I was disappointed when I learned Mark’s insurance plan wouldn’t allow him to go to the rehab center of our choice. I appealed to the insurance company and the doctor wrote a recommendation for an acute rehab center. There was no persuading the insurance company. Saddened by their decision, I searched for an alternative. I learned that not all rehab centers allow a family member to stay overnight with their loved one. I understood their concerns, but for our situation, I couldn’t abide by the rule. Although Rocky Mountain Care discourages overnight stays, they do allow it, so here we are. Another benefit of this place was that Mark had rehab here two years ago after three hospitalizations for blood clots. The admitting personnel and rehab coordinator were familiar with us. It has proven to be another blessing that we are here. We love the therapists. They work hard to help Mark gain improvement. We appreciate their knowledge and the equipment available. The in-house doctor, nurses and CNA’s are helpful. It may not have been my first choice, but I believe he is getting the best care possible. Some days it feels like I’ve had more than my share of things not turning out the way I’ve planned, hoped for and worked diligently towards. However, when I look back on the end result, I realize it worked out for the best. I’m feeling fortunate as I recall these hidden blessings and realize there are many who support us. I’m grateful for each one of you and especially for our greatest advocator. 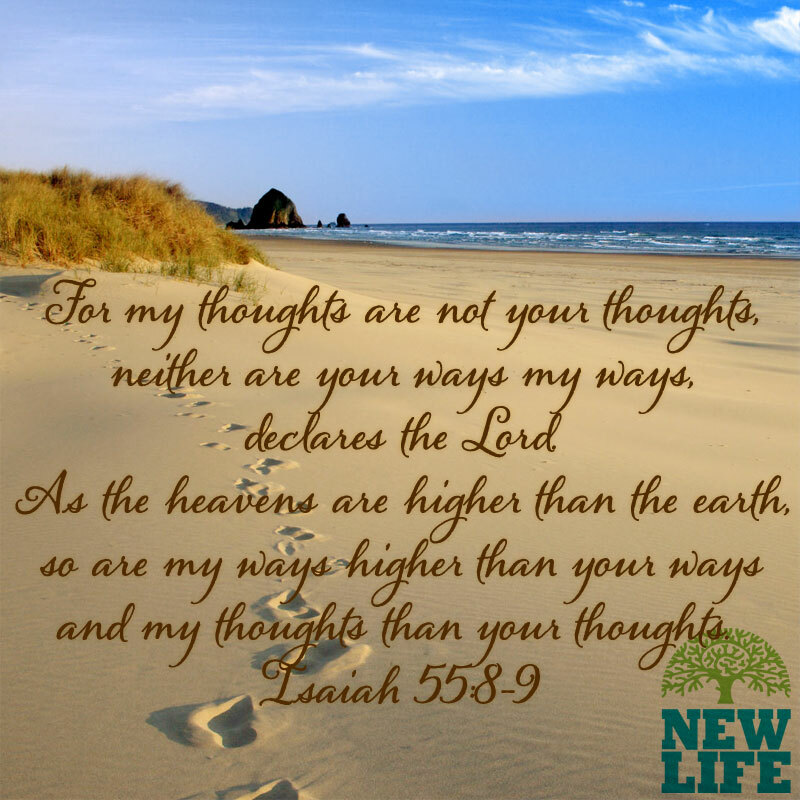 He pleads for us and knows what is best. I try to pick a tip and a thought to go along with a story each week. Since our living arrangements are in a rehab care facility right now, my schedule is very chaotic and I’m finding it harder to write because there are so many interruptions. I’m not complaining though because I appreciate the caregiving support of nurses, CNA’s and therapists. As I contemplated and researched for a tip to go along with my article, I Need Thee Every Hour, I thought about our biggest worry this year, a failed surgery and/or failed recovery. I have enjoyed studying ideas on how to overcome the fear of failure, which can be debilitating and an unhealthy aversion to risk. Some classic symptoms I’ve been feeling are anxiety, vulnerability, mental blocks and perfectionism. Our ability to manage fear of failure is a predictor of success. The supremely gritty are not afraid to fail, but embrace it as part of a process. They understand there are valuable lessons in defeat. Consider the cost of missed opportunities– The biggest risk that people fail to consider is the benefit they lose by avoiding high risk/high reward opportunities. High risks offer the greatest reward. Without taking risks, you can’t harness opportunities. You can live a quiet and reasonably happy life, but you are unlikely to create something new and you are unlikely to make your mark on the world. Research the alternatives– The unknown is a major source of fear. When you don’t know what you’re dealing with, potential consequences seem far worse than they actually are. Take the power out of fear by understanding it. Research all the potential outcomes (both good and bad) so you genuinely understand the risk of failure and benefits of success. Analyzing these outcomes will help you see through the fear of failure and make a logical decision. Put the worst-case scenario in perspective– One of the most powerful questions may be if you fail, how long will it take you to recover? The answer is probably less than you expect. Understand the benefits of failure– As Emerson said, life is a series of experiments, the more you make the better. Each failure is a trial in an experiment and an opportunity for growth. Even if a failure costs you financially, the educational benefits can far outweigh the loss. Make a contingency plan– In case your first option fails, have a solid backup plan. If you manage risk intelligently, you can capture the benefits of high risk opportunities while leaving yourself a safety net. Take action– The best way to reduce fear andbuild confidence is taking action. As soon as you do, you’ll begin accumulating experience and knowledge. Everything is hardest the first time. Start off with small steps and build up your confidence until the fear of failure is manageable. I thought these steps were excellent and by researching this topic my confidence grew. 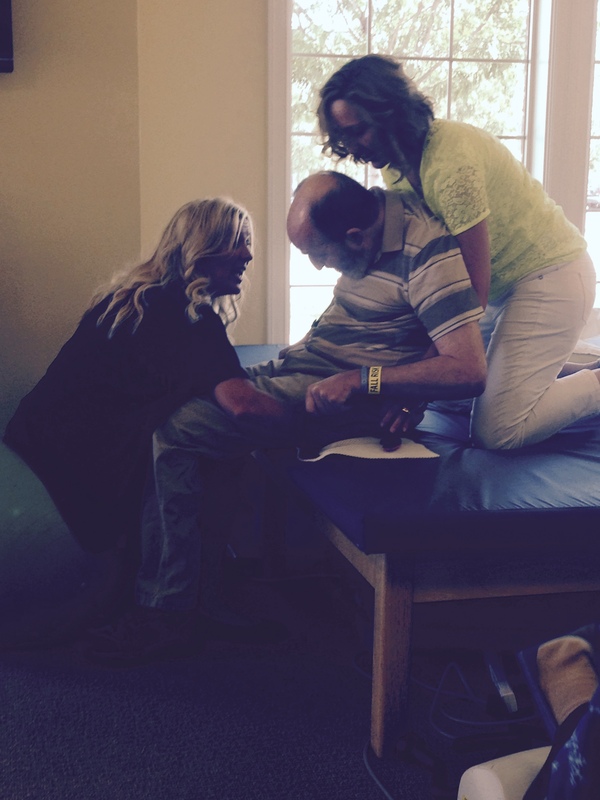 Mark’s recovery is slower than we’d like, but we took a high risk for a better quality of life. We applied all of these steps and added one more important step for us—prayer. This article helped me realize we did all we could to make a wise decision concerning Mark’s health. Now it’s important to stay positive and trust in the Lord. 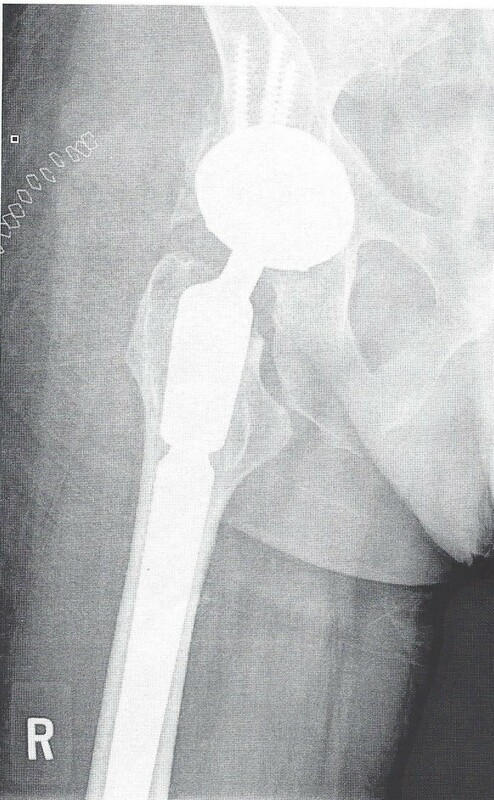 Right hip replacement with extended rod for added stability. 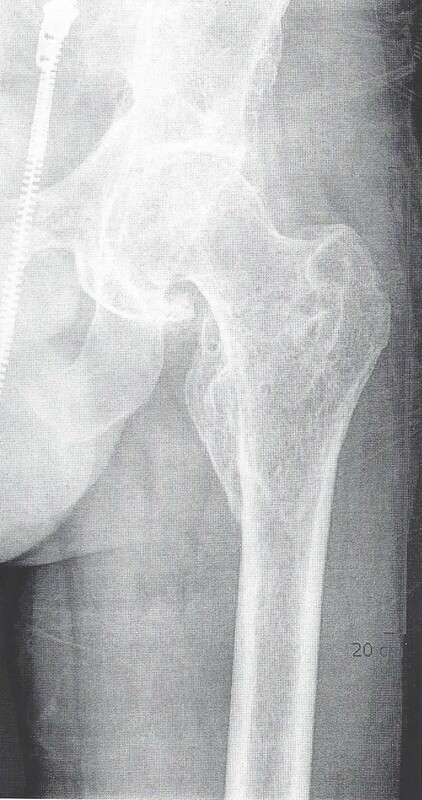 Left arthritic hip with calcium buildup preventing free movement. It’s been a hard couple of weeks. We expected the healing process from a total hip replacement would be difficult, however, the distinct difference between expecting and knowing is living it day by day, which makes the actual experience a reality. 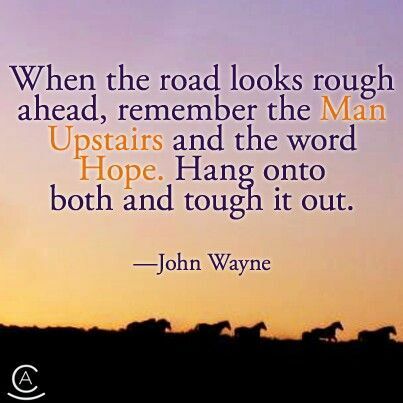 As I was searching for the perfect thought to go along with my last story and tip concerning true grit, I found a quote from John Wayne. “Life is tough, but it’s tougher when you’re stupid.” I chuckled when I read it, but it haunted me through our “tough” week. I couldn’t stop wondering if we took a ridiculous chance or made a senseless choice in choosing major surgery for Mark. We took months to decide. Vacillating back and forth nearly drove me crazy. When I was reluctant, Mark was assured and visa-versa. The stiffness and painful ache was bound to get worse over time and with the results of his bone density test, we realized if he was going to have the surgery we needed to do it now. After much prayer and discussions about risks and concerns, the surgery felt like the best solution for helping Mark to sit comfortably and move better as well as making it easier for me to transfer him in and out of his wheelchair. We were hoping this would bring an improved quality of life for both of us. I’ve wondered if the uncertainty was a sign we shouldn’t go through with the surgery, yet we couldn’t let go of the a hope for improvement. Since the day of the car accident, I’ve felt responsible for Mark’s care. It isn’t because I want to be in control of his life, but while he was in a coma, I was forced into that position. It overwhelms me to be in charge of another person well-being and I guess I could have shirked from the responsibility, but my love for him wouldn’t allow me to do so. I hated the circumstances and would have loved to escape from having to make many decisions—however, obligation felt like the right choice. In a rehab center, it’s easy to notice another person who’s had the same surgery near or on the same date who’s healing and progressing at a much faster pace. Some of the patients here who came about the same time we did have already gone home or are getting ready to do so in the next week. It isn’t that they’ve worked harder or more diligently, but they had a physical advantage to start with. I’ve wondered if we made the right choice or if we just made our life harder. Sure, Mark’s gained movement, but he’s lost strength and so far the improved movement doesn’t make up for the lack of strength, which makes transfers even harder than before. He’s far from ready to come home and that’s discouraging. We’re praying he’ll turn a corner soon and his recovery will speed up, but in the meantime, I’m trying to be patient and positive. Every Sunday they have a short church service at the rehab center for anyone who’d like to participate. Today the opening hymn was, I Need Thee Every Hour. I fought the tears as the words seemed especially significant and reminded me how much I needed God to calm the raging storms in my life. Noticing a few others who also had tears, reminded me that our anguish can either humble us or make us bitter. Looking around the room, I saw others with more serious problems than my own. Realizing my fortune gave me strength and desire to lighten their loads. It amazes me what some of these people endure with a smile. They have taught me I can focus on what’s right or what’s wrong in my life. It’s my choice. Life is hard, and making stupid choices makes it harder. Sometimes I’m right and other times I’m wrong, but I’m always trying to do what’s best. For me life is easier and I have more confidence when I rely on the Lord. 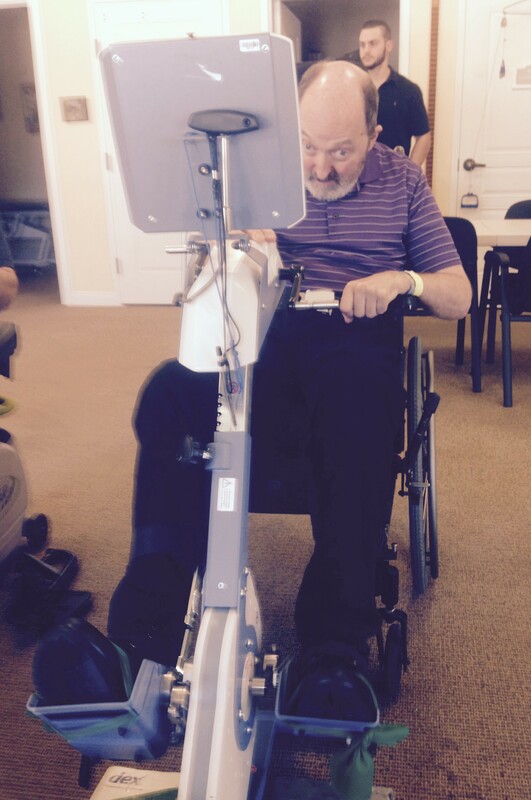 August 2015, Mark bicycling for the first time with his new right hip. It’s hard to describe the behavior of grit unless you know someone who has it. Sunday I wrote about A Man With True Grit which has become my favorite way to describe my husband, Mark. I used to relate grit to cowboys and believed they had to have it to survive the rugged, wild west, withstanding harsh elements, hunger and loneliness. However, the more I research it and am surrounded by people in a rehab center who are enduring pain and fatigue while living in unfamiliar territory, I’m realizing it’s a trait we all need. So what is grit? Determination is a quality that makes you continue trying to do or achieve something that is difficult.Behind every success there are moments of doubt when quitting appears to be the best option. A person with grit is firm even though it costs to keep going in the face of failure. They have an unwavering adherence to their purpose. They are unstoppable, firm and strong willed. Perseverance is the quality that allows you to continue trying to do something even though it is difficult. Gritty people are not near-sighted. They are willing to wait, knowing today’s effort is an investment in the long run. They accomplish great things because they are willing to work hard for a long period of time. They have a long-term perspective, understanding the theory of an investment today becomes a fortune in the future. Pain today benefits tomorrow. Endurance is the quality of remaining for a long time. People with grit don’t quit. They keep charging forward despite setbacks. High-grit people recognize the cost of quitting and are determined to stick with it. They don’t give up on the future for an easier present. They would rather die trying than stop and that’s why they usually reach the finish line. Fortitude is the strength of mind that enables a person to encounter danger or bear pain or adversity with courage. A person with grit endures disappointments with steadfastness and patience. Because gritty people take on the most difficult challenges, they have an intimate knowledge of failure, but they do not view failure as an obstacle or the finish line. They don’t run from failure, they use it. Each failure becomes a step in the staircase to success. Courage is the ability to do something that you know is difficult, frightening or dangerous. Gritty people are brave and not afraid to do what they believe is right. Courage is not the absence of fear, but the strength to face it. Even the grittiest warriors feels fear, but they face it. Every time we face a fear, it loses some of its power. Fear exerts as much control as you allow it. If you nurture fear, it will grow. 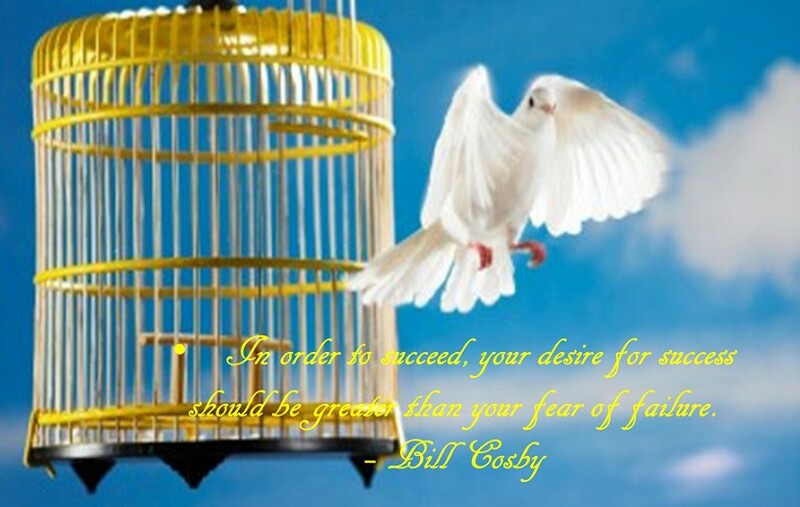 If you face fear, it dissolves. 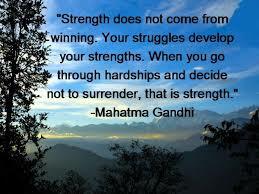 Life is tough, bringing each of us different challenges. Exercising these five traits will increase our grit and help us overcome our challenges. I’m grateful for a man who is willing to tough it out while hanging on to hope and his knowledge of God. What characteristics do you see in a person with true grit? Here we are again at a rehab center, eleven days after surgery. Since I’ve watched Mark battle rehabilitation for more than twenty-four years, the pain is both heartbreaking and tiresome. It’s difficult not to question why it has to be so hard and painful. One of the benefits of being in a care facility is that we are surrounded by people with similar struggles. Most of the patients here are overcoming a knee or hip replacement, but a few have an even more serious struggle like bone cancer or a stroke. As I get to know each patient here, my heart goes out to them and as I watch their progression in conquering their health challenges, I rejoice. We are surrounded by people with true grit. Mark was not a perfect candidate for a total hip replacement so he had several tests to determine whether it was a possibility. Every test revealed a new problem such as severe degenerative disc disease, osteoporosis and scoliosis of the spine and osteopenia (a precursor to osteoporosis) of the hips. The results were discouraging and overwhelming. The bone density test reveal he was a high risk for a break. What should we do and when do we give up? These two questions took months to answer. The orthopedic surgeon gave Mark only a 50% chance of the surgery improving his condition. Mark replied, “I’ve beaten lesser odds,” and decided to go through with a total right hip replacement despite the risks. Mark’s continuing optimism and determination for betterment is one of the reasons why I love and support him so much. He’s taught me you don’t have to be a cowboy to be a man with true grit, which has become my favorite way to describe him. If you’re old enough, you may remember John Wayne in the 1969 movie, True Grit. There was a remake in 2010, but I preferred the original western of a totally fearless, one-eyed, pot-bellied U.S. 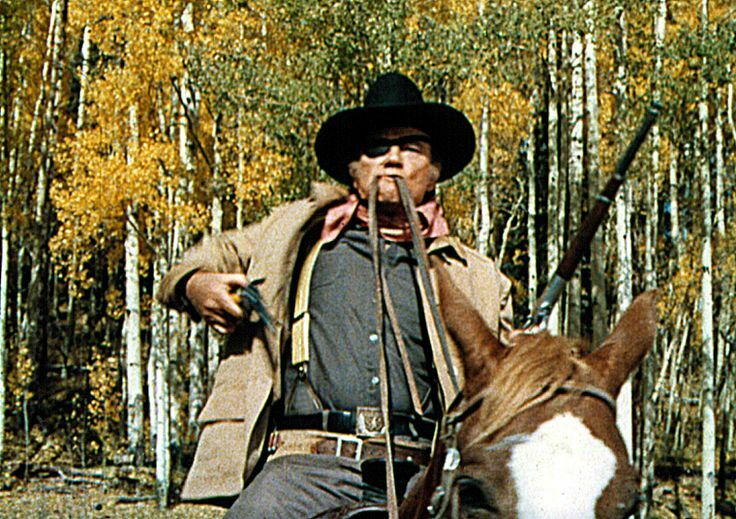 Marshal, Rooster Cogburn, who was hired by a determined young girl, Mattie Ross to find the man who murdered her father and fled with the family savings. Rooster was cantankerous and drank too much, but his shooting ability was flawless. He was known as a man with true grit. The scene that keeps running through my head is the one where Rooster rides his horse into an open area and faces alone a gang of four outlaws he’s been tracking down for days. “I mean to kill you in one minute or see you hang in Fort Smith at Judge Barker’s convenience. Which one will it be?” Rooster haulers back. “Fill your hands…” Rooster yells while putting the horse’s bridle reins in his mouth, drawing his rifle in one hand and his shotgun in the other as he charges towards the four men, shooting with both guns. Despite the unlikely odds, he does take all four down. This comparison may seem a little irreverent or uncouth, but it’s what goes through my mind as I watch Mark combat rehab. He boldly confronts each challenge using every ability he has. He fearlessly fights for improvement and gives little thought to it taking him down. He is indeed a man with true grit. However, I must add he’s much better looking than Rooster Cogburn and his language, manners and conduct are nicer too. We all have something to overcome and having true grit helps us get through it. Right now I’m surrounded not by cowboys, but warriors with true grit and I’m particularly fond of the one I’m married to. Just like Rooster did, I believe Mark will come out the winner too. As a parent or any other caring person, it’s heartbreaking to see children or people with handicaps struggle to be accepted. I have always loved the song True Colors, but when I saw this video I fell more in love with the message. Life has enough challenges without the sadness of rejection. Treating everyone with love and respect is the answer. I hope you’ll share the video with your kids.